Founding visionary of the the brand we know today as Adidas, Adolf ‘Adi’ Dassler, changed the sports world in the year 1979 with the release of the Adidas Copa Mundial soccer cleat. Designed with the 1982 world cup and all of its timeless glory in mind, the boot was a runaway success, and would go on to be worn by some of the very best in the game including Diego Maradona, Zinedine Zidan, Pele, and Franz Beckbauer. 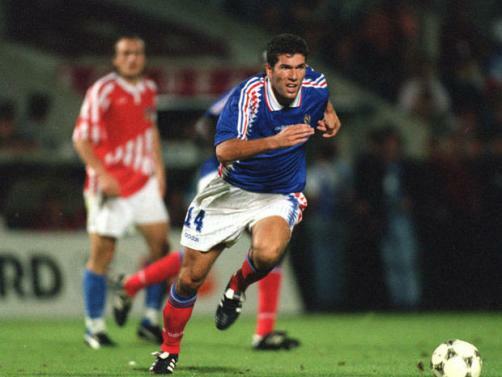 Zidane would go on to trade his Copa Mundials for Adidas Predators later in his career. Each pair of Copa Mundial boots is made out of the highest quality kangaroo leather and manufactured in Scheinfeld, near Frankfurt, Germany. The cleat has undergone virtually no major changes since its inception maintaining its appeal throughout the years for it’s versatility, fit, and durability. The Copa Mundial has been adopted by rugby players as prominent as Sonny Bill Williams because of its ability to withstand years of punishment and play. Given its use in so many different sports it’s possible that Dassler’s 1979 design could go down in history as one of the greatest advances of the athletic footwear ever. The absence of toe studs is what makes the Copa Mundial multi-sport eligible. The one feature that brings people back to the Copa Mundial cleats time and time again is their “broken-in-out-of-the-box” feel. These cleats can be taken straight from the box into a game or practice without the need for a long painful break-in period. The premium leather hugs your foot and only becomes softer and more tailored to your foot with age. Retailing at $150 a pair, the Copa Mundials are some of the highest quality available under $200 today in the soccer footwear market. The fact that they’re both composed of materials of the highest grade as well as likely to last you five or more years if taken care of makes them a steal in the current soccer market. If you’d like to own a pair of soccer cleats that will last through years of practice and games pick up a pair through www.soccercorner.com and begin making memories in these timeless cleats like so many athletes before you. Can Liverpool Supporters Match Klopp’s Passion?